Let’s kick off Cephaopod Awareness Days with Octopus! 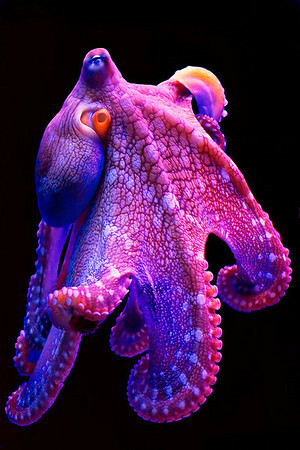 I think August 8 would have been a better World Octopus Day. Because 8-8. I went from shorts and t-shirts on Saturday morning to a sweatsuit Saturday night, Sunday and yesterday. In defiance of the season, I am back to shorts today. Also, teh cat has taken to sleeping indoors. Like a lot of clothing, things look better on some people than others. "We don't know when or if this item will be back in stock." So guessing I shouldn't mention what I had for dinner last night. I'm not eating pigs and cephalopods anymore, because smart. Hey weej, you're sending all of us fancy Italian guitars , right? hey man, ducks and pigs and chickens call. I am HERE for cephalopod shenanigans!